This year the LACC is encouraging its employees and followers on social media to participate in Earth Hour to extend the reach of the event and further educate the community. Throughout the week leading up to Earth Hour, the LACC shared tips on Facebook, Twitter, Instagram and LinkedIn demonstrating how anyone can take part in the event. 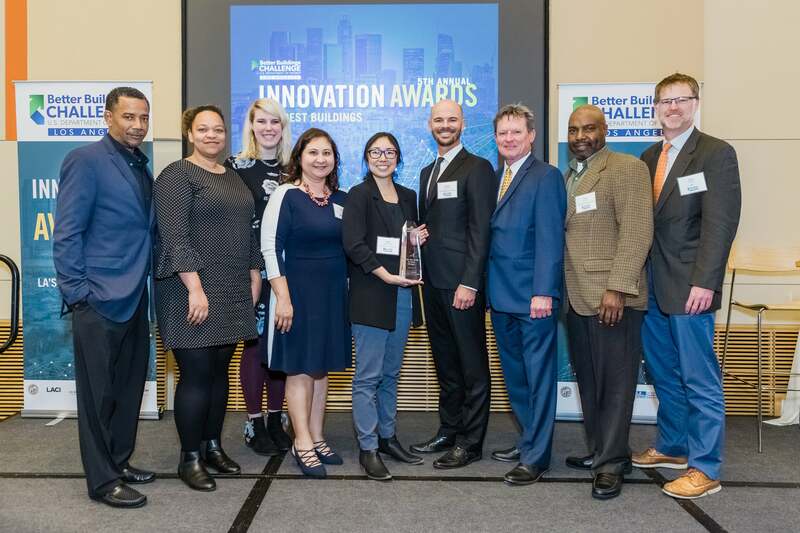 The LACC established a competition amongst its employees and social media followers to foster creativity and a unified commitment to the environment. Everyone is welcome to share how they are going dark during Earth Hour and anyone who tags #LACCLightsOut in their posts is entered to win a gift card. Education and communication are key focuses of the LACC’s sustainability program and its annual Earth Hour participation exemplifies its dedication. The program also emphasizes waste and recycling, energy and climate, water and responsible purchasing. The LACC currently reports a 72% waste diversion rate and has diverted more than 7.3 million pounds of construction and demolition waste from the landfill. The LACC is proud to be the first convention center of its size to achieve LEED® EB: O+M Gold recertification. Earth Hour is an annual event designed to engage millions of people worldwide on a broad range of environmental issues. Each year, more than 7,000 cities show their support for environmental issues by participating in Earth Hour. 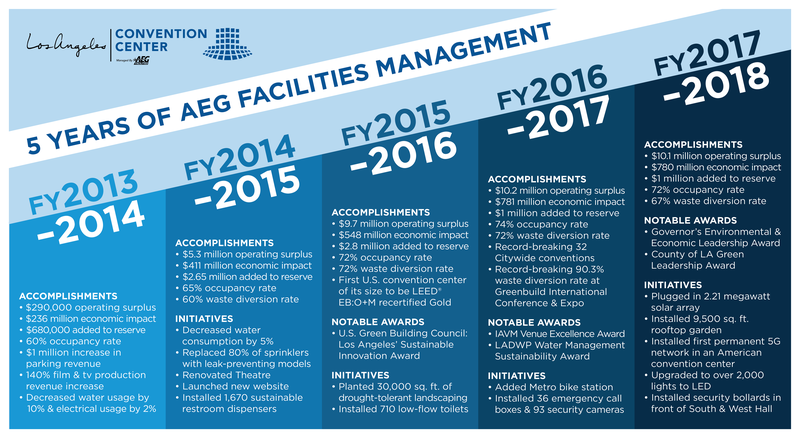 In 2010, AEG established a set of 2020 environmental performance goals across five areas, including energy and climate, water, waste, responsible purchasing, and education. In 2017, the company released its sixth AEG 1EARTH Environmental Sustainability Report, which provides an update on progress towards AEG’s 2020 goals and shares stories of AEG’s involvement in Earth Hour and other environmental events worldwide. The Los Angeles Convention Center (LACC) is renowned internationally as a prime site for conventions, trade shows, and exhibitions. Owned by the City of Los Angeles and professionally managed by AEG Facilities, the LACC attracts over 2.5 million visitors annually. The facility is an integral economic component to the Southern California area, generating economic benefits through attendee direct and indirect spending and sustaining over 12,500 local jobs. 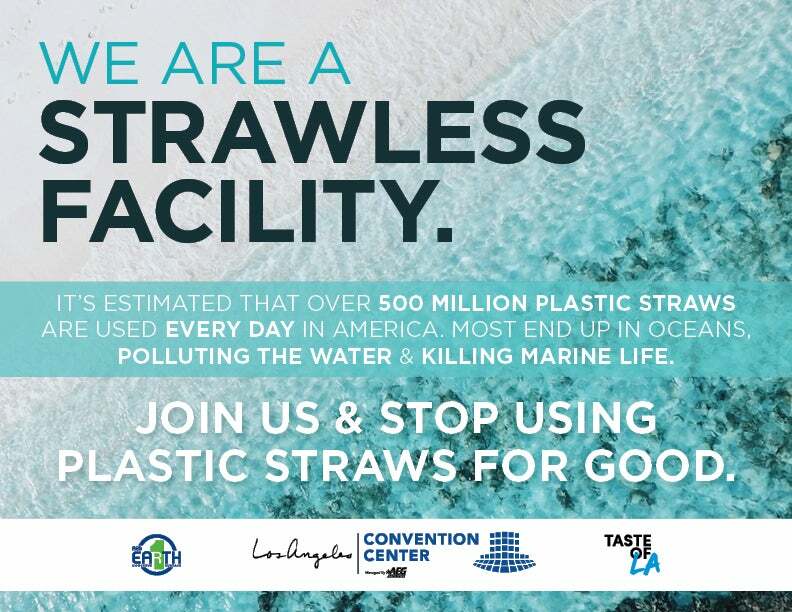 The LACC also remains an enduring symbol of environmental sustainability and social responsibility, and is proud to be a LEED® Gold certified facility; the venue was recertified on the Gold level in 2015 making the LACC the largest convention center in the U.S. to receive LEED® EB:O+M Gold recertification. For more information, please visit lacclink.com. (Louisville, KY.), American Airlines Arena (Miami, Fla.), Prudential Center (Newark, N.J.), Barclays Arena (Brooklyn, N.Y.), Target Center (Minneapolis, MN), Oracle Arena and O.co Coliseum (Oakland, CA), CONSOL Energy Center (Pittsburgh, PA), Mercedes-Benz Arena (Shanghai, China), MasterCard Center (Beijing, China), The O2 Arena (London, England), Mercedes-Benz Arena (Berlin, Germany), Barclaycard Arena (Hamburg, Germany), AccorHotels Arena (Paris, France), SSE Hydro (Glasgow, UK), Qudos Bank Arena (Sydney, Australia), Perth Arena (Perth, Australia), Ericsson Globe Arena (Stockholm, Sweden), Los Angeles Convention Center (Los Angeles, Calif.), Hawaii Convention Center (Honolulu, HI), Puerto Rico Convention Center (PRCC), Brisbane Convention & Exhibition Centre (Brisbane, Australia), International Convention Centre (Sydney, Australia) and the Oman Convention and Exhibition Center (Muscat, Oman). For more information, please visit aegworldwide.com.